The book features previously unpublished manuscripts and correspondence illustrating case studies of John Dos Passos' screen writing for Paramount Pictures (1934); his role in writing and filming The Spanish Earth (1937), a Spanish Civil War relief project whose circumstances culminated in his public break from the Left; the 1936 screen treatment he wrote just before The Spanish Earth in consultation with its director, Joris Ivens; and his later-career attempts, beginning in the 1940s, to adapt his radically innovative trilogy U.S.A. directly for the screen and to realign its leftist politics toward the anti-Communist conservatism reflected in his work and activism after the 1930s and the disillusionments of the Spanish Civil War. It thus provides a new context for and reading of his political reorientation in the 1930s that not only ended his long friendship with Ernest Hemingway but also evoked the opprobrium of his former champions on the Left and redefined his literary career. After faculty positions at University of North Carolina affiliates and Georgetown University School of Foreign Service-Qatar, Lisa Nanney co-edited and co-authored the 2017 study of John Dos Passos’s visual works, The Paintings and Drawings of John Dos Passos: A Collection and Study (Clemson University Press). 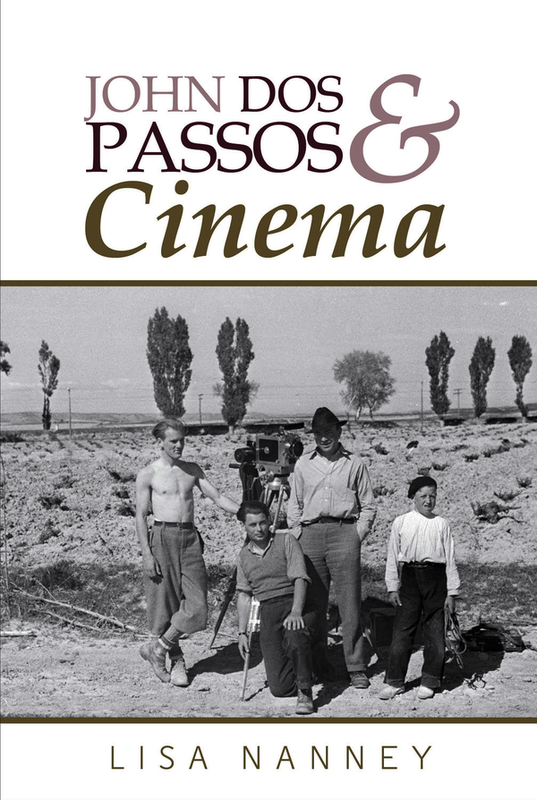 Her current book, John Dos Passos and Cinema (2019), further explores the intersection of his narrative methods and the visual arts by investigating his writing directly for the cinema, his translation of modernist fictional techniques to the screen, and the ways these forays into film writing were shaped by his re-evaluation of the Left at a pivotal point in his career. Nanney is also the author of John Dos Passos Revisited (Macmillan Press, 1998), a critical biography.